Each print is unique with the text placed at a different angle in relation to the page. Printed on 80 gsm pale blue paper with laser printed text. 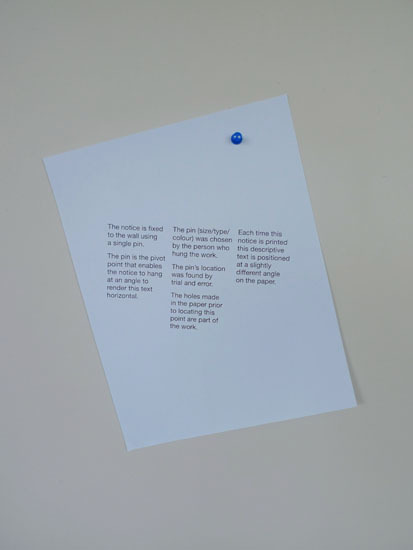 About the project: This notice is fixed to the wall using a single pin. 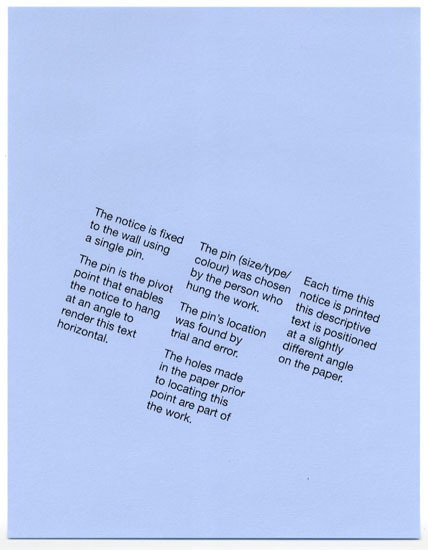 The pin is the pivot point that enables the notice to hang at an angle to render this text horizontal. 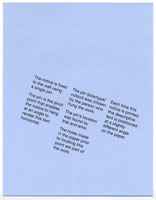 The pin (size/type/colour) was chosen by the person who hung the work. The pin's location was found by trial and error. The holes made in the paper prior to locating this point are part of the work. Each time this notice is printed this descriptive text is positioned at a slightly different angle on the paper.